How popular is the monitor size and will it be reasonably priced over the next few years? How long has the manufacturer been consistent with the cutout dimensions? Since the computer is more likely to change than the monitor, will the video input signal required be available on computers for several years? Will the touch screen hardware be supported for several years with current drivers for new operating systems? What is the average repair turnaround if I do have to repair the monitor after a few years? These are all important factors when considering a replacement display. What are these items worth to you? This article will focus primarily on the same factors but how they should be considered when replacing a monitor from a different manufacturer. If choosing a monitor with a different cutout dimension pattern, there are two outcomes to consider. The first, choosing a monitor with a larger cutout dimension all around will require more space on your panel and will require the installer to cut the panel to the new larger cutout dimension. This can be very labor intensive and should be avoided. The second, choosing a smaller cutout dimension will require the fabrication of an adapter panel that will convert the cutout dimensions of the new monitor to fit in the existing panel opening. Adapters usually are custom made but are relatively affordable and easy to install. In some cases, the end user may have a smaller dimension on either the horizontal or vertical and a larger dimension on the other. In this case, an adapter panel will be required and the installer will be required to cut the opening taller or wider depending on the situation. For many years, the standard for video input has been component video or sometimes called VGA. This input has its own unique connector configuration as seen below. This is one of the several standard analog video signals and has been the predominant computer display signal output for many years. In some cases the existing monitor may have BNC inputs. BNC inputs were the common video connection prior to the higher density configuration above. 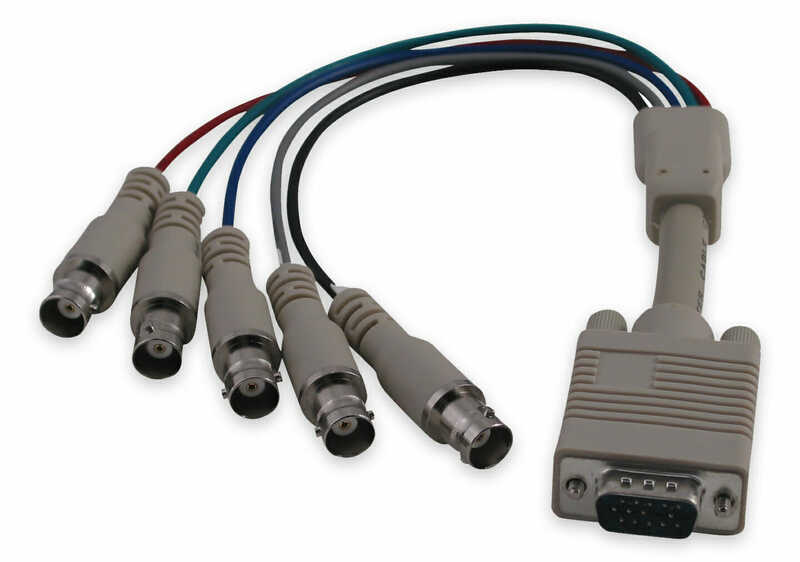 Any new monitor with the component video input shown above can be converted to BNC inputs with an adapter cable. Ask your manufacturer for a cable similar to the one provide below by Hope Industrial Systems. Resolution is the monitor’s ability to display very fine text or graphics with clarity. Newer monitors will be able to pack in more resolution in the similar sized monitor. Resolution is measured in the number of horizontal pixels by the number of vertical pixels, e.g. 1280×1024. Many older legacy systems are limited in the number of different resolutions that can be generated. It is important to pick a monitor than has a native resolution that the system can output. If a higher resolution monitor is desirable, it is important to insure the system and program can adjust properly to the higher resolution. If a touch screen was employed in the existing application, there was a touch screen driver installed on the operating system. A touch screen driver is a software program that is installed that allows the operating system to communicate with the touch sensor. It would be ideal to replace the existing touch screen with one that worked on the same driver. Changing drivers can open up a whole new area of complexity that can lead to problems with the new monitor. At a minimum, changing touch hardware will require the installation of a new touch screen driver on the system. Some legacy systems do not allow software updates. 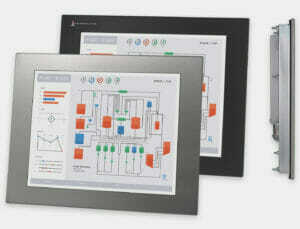 It is more likely that trouble will occur when using less popular touch screen hardware and software. By nature, these less popular platforms will be less tested and less supported through the years. New touch screen hardware from Elo Touchscreen Systems is very reliable on old legacy touch screen drivers that may have been installed 25 years ago.